I’m taking a much needed break this next week (anyone who knows my sleep schedule of late, or lack of one, is probably breathing a sigh of relief), so until January 5th I will be mostly unavailable. I will respond to emergencies, but mostly I’ll have very little (maybe no) cell service (thank you Sprint) and will probably try to stay away from the computer. And as a final picture, here’s a beautiful little fairy princess :). LOVE it Kelly! Kristin called to tell me to look. It has been so crazy around here I had totally forgotten about our photo shoot! This makes me excited to see the rest. Absolutely precious!!!!! Is that Sammie Lou? This so cute. 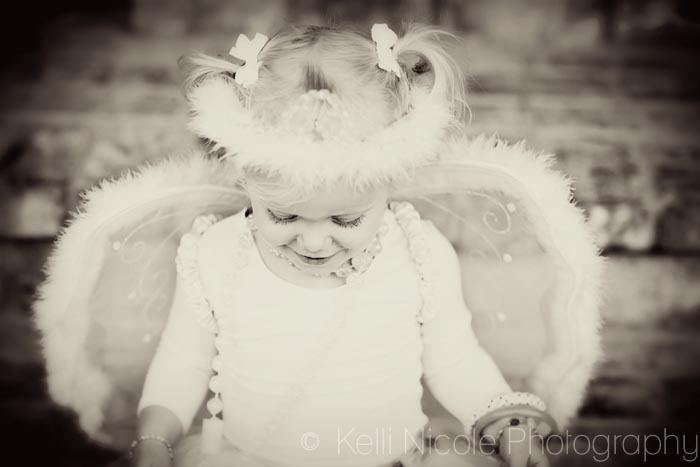 I think next year, maybe one of your cuter than cute nieces should be an angel for your card.